Welcome to my little algae guide! Algaes are everywhere right now, aren’t they? But sometimes it can be difficult to know how to eat them, which ones to choose, what the differences are, and what to think about when buying algaes. This is why I decided to write a little guide for you. I am not an expert in any sense, I just like to eat algaes and seaweed, and I have tried quite a few different types and quite a few different ways of how to include them into my diet. So here I am sharing what I personally learned so far. So these are a ton of products, obviously. And you certainly do not need all of them or not even half of them. However, I thought it could be intersting to get a little overview. I will write in more detail about some of my favorites of the above. In general you always distinguish between saltwater algaes and freshwater algaes. The main difference between the two – and what is important to consider when choosing an algae product – is that freshwater algaes do no contain much iodine whereas salt water algaes do contain a lot of iodine. So one of the first questions to consider is if you want more iodine in your life ot not. When you are eating fish on a regular basis you might not want to eat too much extra iodine and sweet water seaweed such as spirulina is probably a better choice for you (however, make sure to do some research on how fish is extremely poluted and is adding loads of toxins and heavy metals to your systeme plus the oceans are dying…). 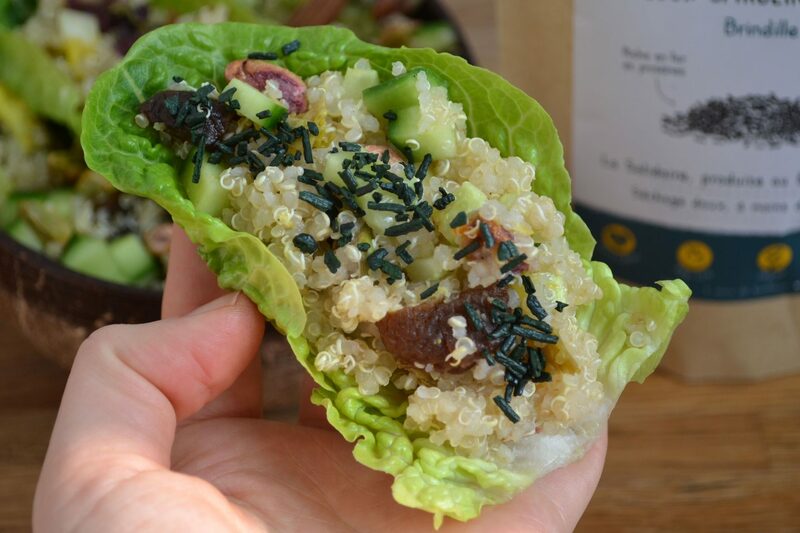 If however, you are eating a plant based diet, you might want to get some more iodine in your life and it could be a great idea to include some salt water seaweed such as arame, nori or dulse into your daily routine. On the above picture you can see spirulina algae in pills and in flakes, two different kind of saltwater algae mix (staples in my kitchen! ), algae oil (I blogged about why I use this back HERE), different spirulina powders in both blue and green (so fun for colorful smoothie bowls! ), kelp pills, and sango coral – which isn’t an algae but I add it here because it comes from the sea too. So as you can tell from the picture, I am a huge fan of spirulina in all shapes and colors, and I eat a lot of different salt water algaes, mainly for my daily iodine need. Let’s start with spirulina which is one of the most popular seaweeds at the moment. Spirulina grows in freshwater and can basically be grown everywhere. This is why you can find spirulina from Germany, from Hawaii, from Burkina Faso… they will taste slightly different, depending on where they are coming from, but all of them are packed with nutrients. Spirulina (like chlorella by the way) has the ability to bind with heavy metals and other harmful chemicals to remove them from the body. Spirulina also contains high levels of protein, iron, and B vitamins. I take spirulina because of the detox abilities (binding heavy metals) and as a daily “multivitamin”. I most often take it as capsules, as this is easiest. However, I also like to use the powder for my smoothies and smoothie bowls, and the flakes to add on my lettuce wraps or to top my salads. 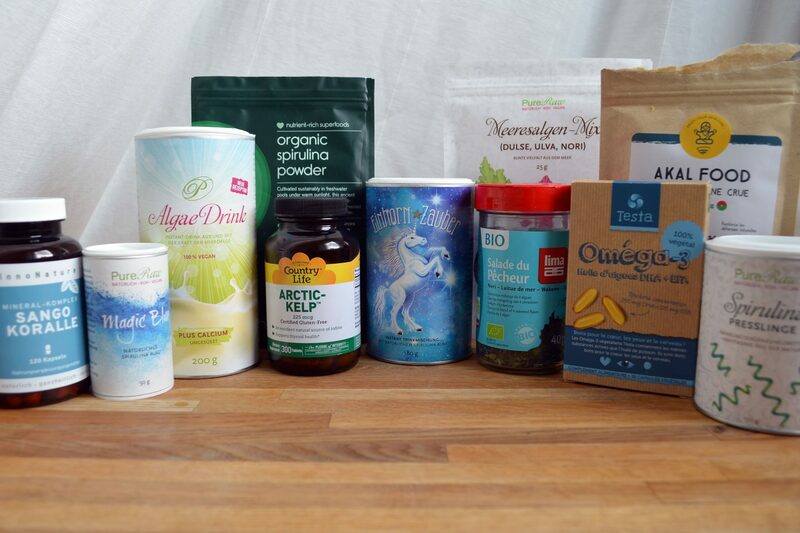 In this post, I’ve put a lot of different brands and products with spirulina. There are quite some different approaches towards what “good” spirulina is. AKAL food is a brand that is specialized in spirulina and I do believe that they are THE experts when it comes to the topic. 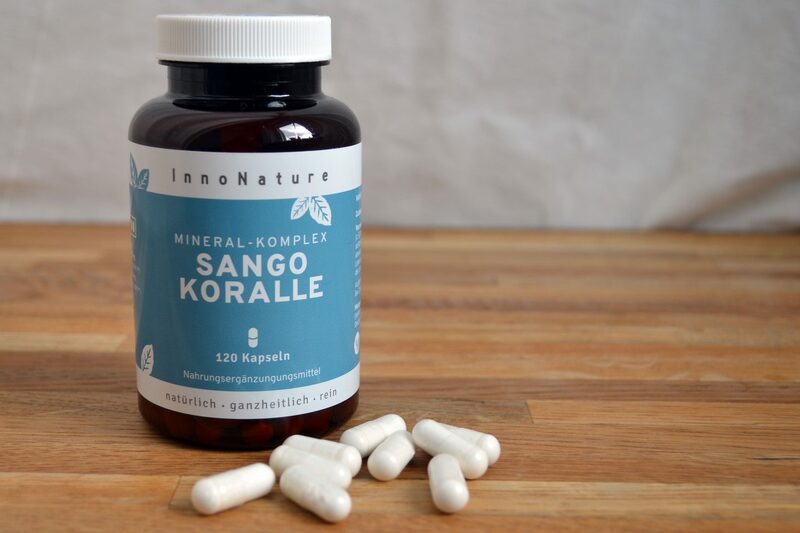 They have a great website (in German) that I highly recommend to check out in case you want to know more about spirulina and what makes a “good” spirulina. AKAL food claims that a “good” spirulina must always come in flakes or in another “natural” shape – but not as powder or pill. In the end I absolutely do not know enough about spirulina to tell if that is true or not. However, you can definetly tell from the taste how good a spirulina is. The AKAL spirulina is among the only ones that I tested so far that I actually like to taste. 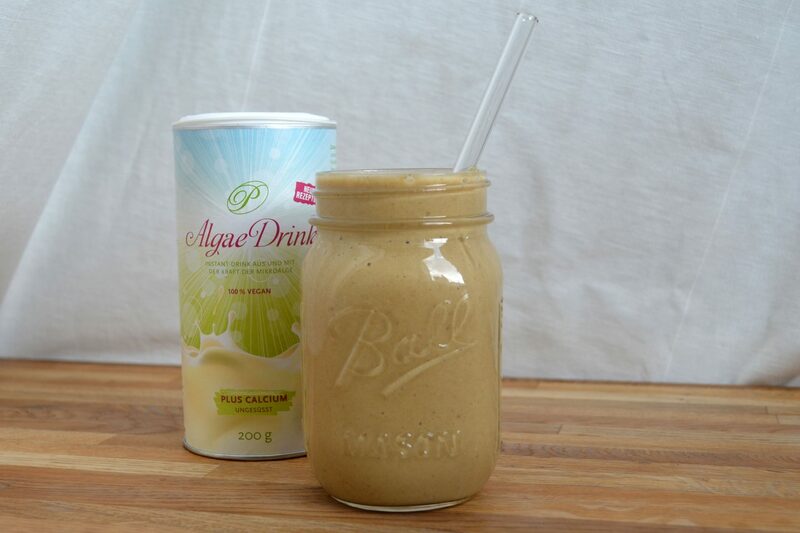 Many others have a “fishy” kind of taste that I do not like in my smoothies or bowls. However, I absolutely enjoy playing with the blue spirulina powders from PURE RAW and I simply find it easiest to swallow my spirulina pills on days where I forget to add some flakes to my lunch. In the end I think it is up to you for what you go. 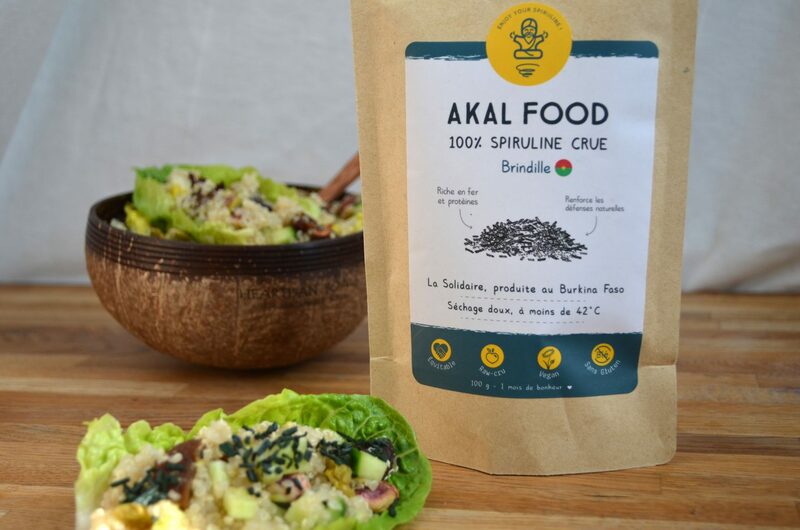 When you are looking for really high quality spirulina with a great taste, then I think that AKAL food is you place to shop. When you are looking for fun colors then maybe PURE RAW is the right address for you (their spirulina is cultivated in Germany). When you are following the advices by “Medical Medium” Anthony Williams then you might only want to eat Hawaiin spirulina (because this is what he recommends). It would be simply too much to go into detail here, so if you are interested in the different kinds of spirulina and they different ways to cultivate and harvest this seaweed then feel free to do a little research yourself. 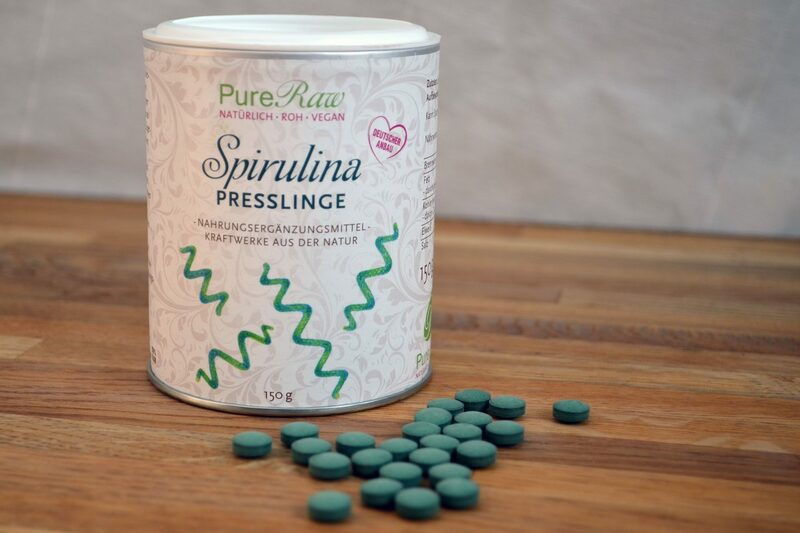 I can recommend AKAL food (german) for more details on how spirulina is grown and what is important to look for when searching for good spirulina. So whereas spirulina is the main freshwater seaweed I use, I actually eat quite a few different seawater algaes. I eat seawater algaes mainly to get my daily dose of iodine. In Germany around 30% of the population are low in iodine and as I do not want to be part of those 30% I take good care of getting some seaweed every single day. As with the freshwater algaes, there is again the option of choosing pills or flakes/spagetti. I have both. I have kelp pills for those days where I forget to add seaweed to my meals and I just take one at night to make sure I get my daily dose. However, on most days I add some dulse flakes or a blend of nori, dulse, warame, and others to my lunch or dinner. I only need a teaspoon a day so it’s easy to add a little to a dish without making the entire dish taste like the atlantic ocean. Again, there are tons of different products and options out there. I always make sure to get an organic product and I like to do a little research on where the seaweed comes from. 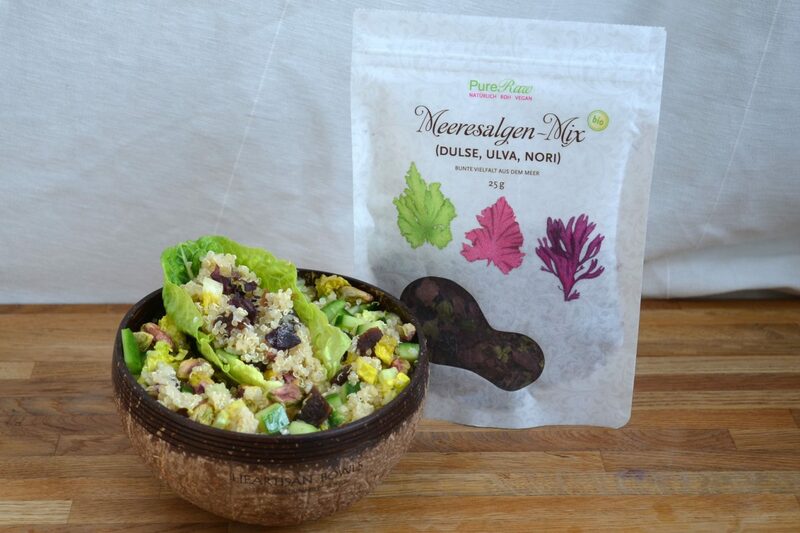 Currently I am using a blend of dulse, ulva, and nori from PURE RAW. Before coming to an end I want to draw your attention to those “fun” ways of integrating algaes to your life. I know the taste can be difficult for some, and maybe pills are not what you like to take – which is totally fine – there are still options out there. PURE RAW has like a ton of different algae based drinks which actually taste really, really good. From blue spirulina drinks over the golden chlorella “algae drink” to an almost tasteless calcium algae powder, you can find a variety of yummy instant drinks that will fill your cells with nutrients without having the actual feeling of eating algae. My favorite is the “algae drink” which contains of pure chlorella flour and which tastes SO delicious in a banana-oatmilk-shake! Also, check out my recipe for blue nicecream back HERE. 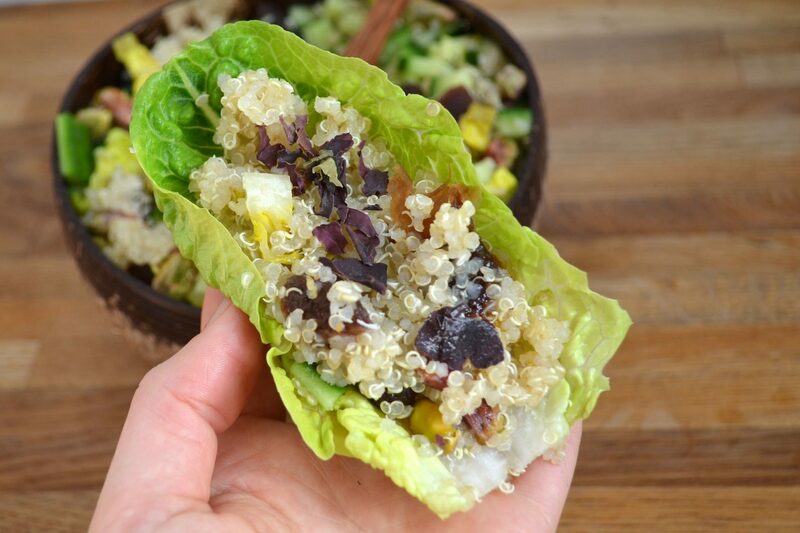 I used the blue spirulina powder by PURE RAW in this recipe. Finally, there is the sango coral which isn’t really a seaweed but since it is from the sea, I decided to add a few words about it. Most importantly: only dead corals are used! So no harm is done to the corals that are still alive! I found sango coral intersting because it has the perfect balance of calcium and magnesium… maybe you know that when you take a calcium supplement and thereby get a lot of calcium, the transporters in your body that are transporting BOTH calcium and magnesium can no longer transport magnesium and hence you will easily get magnesium defiency just because you are supplementing calcium (reason for why I do not recommend supplementing any minerals!). However, when eating a natural food, such as the calcium algae or the sango coral you will eat a perfect balance of magnesium and calcium and you do not have to be afraid of any transporters being stuffed. When I got pregnant back in December I ordered some sango coral from Innonature to make sure I get enough calcium for that little baby and me. Well, I had a miscarriage but now I still take the sango coral and I feel pretty good with it. You can still get 10% off everything from innonature when using the code Rosa10 by the way (I am not getting any money when you use the code). This is a pretty long post already and yet, I feel like there is SO much more to say. I cannot put everything into one blog post, obviously, and as I wrote above, I am very far from being an expert. Nevertheless, I hope you got at least an impression of the different options you have to fuel your body with a little extra – and to get your daily dose of iodine in an all natural way. Feel free to leave questions if you have, so that I can maybe cover them in a future post!